From Cuban cuisine to sumptuous seafood, Ocean Drive’s home to famous restaurants offering delicious dining with views of animated South Beach. Read our guide to the best restaurants on Ocean Drive. 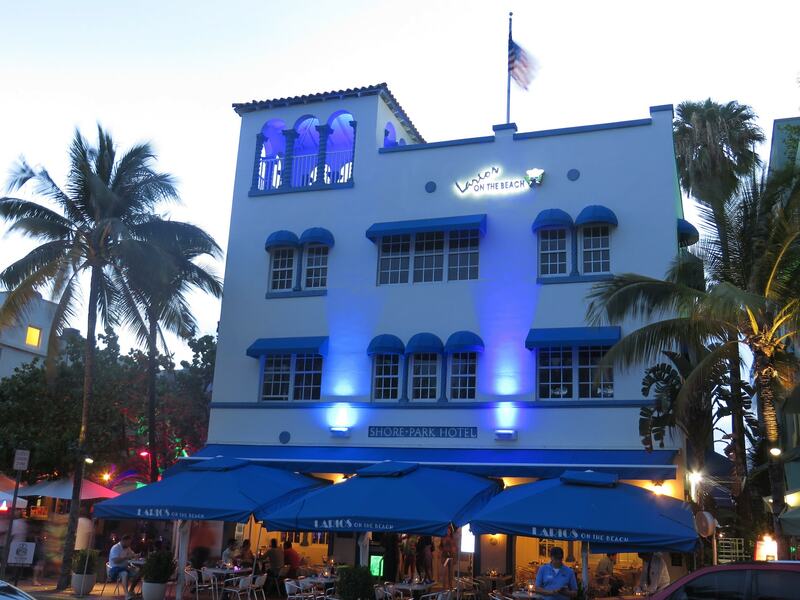 Gloria and Emilio Estefan—otherwise known as Miami’s king and queen—have been running Larios on the Beach for 24 years. The world-famous restaurant inspired by recipes by Chef Odell Torres offers Cuban cuisine favorites and new creations such as bacon-wrapped maduros, vaca frita, and pork tamales. When in town and on the hunt for a real hearty Cuban food experience, try their award-winning lechón (roasted pork) and their powerful mojitos. This famous steakhouse is a must-visit for meat lovers looking to enjoy a great prime steak with a glass of red vino and a side of people-watching. A popular spot for A-listers and local celebrities, Prime 112 offers lunch and dinner in a sophisticated space clad in brick as well as a pretty terrace with views of Ocean Drive. The sprawling restaurant boasts plenty of seating, but it’s best to make reservations on busy nights. 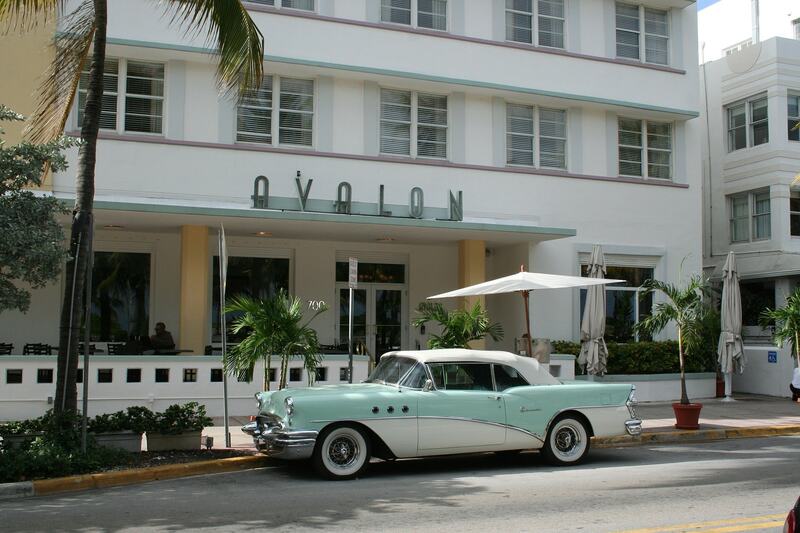 Set in a remodeled Art Deco building, A Fish Called Avalon has been around for over two decades, making it practically an Ocean Drive landmark. The iconic seafood spot serves fresh seafood cuisine like their creamy saffron seafood risotto and the lobster tail with a sake-tarragon glaze. Dine inside or opt for a table on their sidewalk terrace with the fresh breeze from the sea because, after all, this is why you come to Miami. With happy hour specials and breakfast day and night, The Front Porch Cafe has been winning hearts since 1990. Set in the Art Deco Z Ocean Hotel, the restaurant offers decent-priced comfort food such as burgers, tacos, pancakes, and, of course, craft beer. Open every day from 7 am to 11 pm, this little spot is a tourist’s and local’s favorite. Starting the new year with feta/lemon spread over wheat toast with avocado, toasted pine nuts and marinated cherry tomatoes, basil with toasted pine nuts and poached eggs. 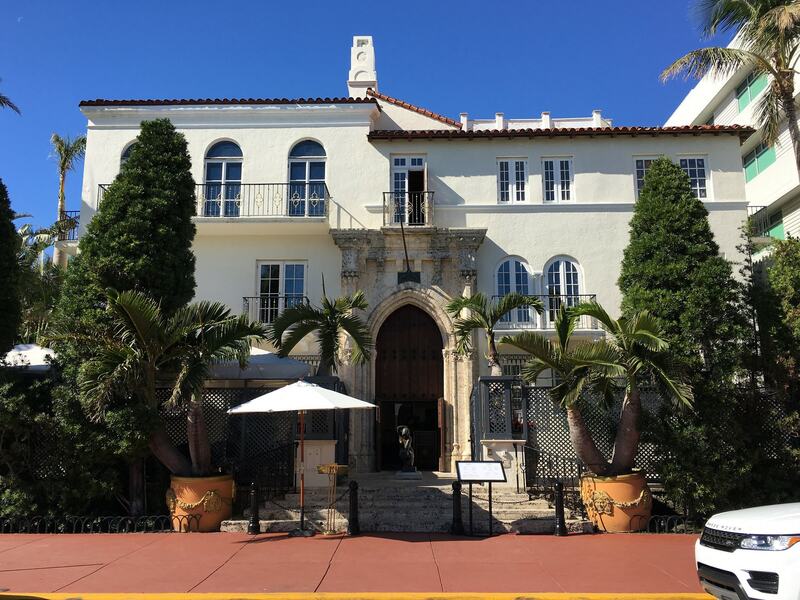 How about dinner for two at Gianni Versace’s former home? Gianni’s at The Villa Casa Casuarina offers a delicious selection of food and wine in the glamorous Versace mansion. Enjoy a dish of caviar by the iconic pool or opt for a table inside in the mosaic-clad interior. The nightclub/restaurant may be infamous for its wild parties, but it’s also a place with good food and cocktails. Their “Florribean” cuisine is a mix of Latin, Caribbean, and American comfort food—but they even have spaghetti and meatballs on the menu. You can also reserve a seat for their “dinner & show” every night at 8 p.m. to enjoy a meal while watching a very lively bachata and salsa performance from their energetic dancers!